Convert VOB files to MP4 online for free now. How to Convert VOB to MP4 Online? Select MP4 as the output format you want to convert VOB file(s) to. Standing for Video Object, VOB is a container file format used for storing DVD videos. These files contain multiple video, audio, menus, navigation contents, and subtitles which are multiplexed in a stream form. Being a DVD video format and large in size, VOB cannot play on portable devices, smartphones, and other media players. To make these files compatible, you need to convert it to another format firstly and what can be a better choice than MP4 which is the most popularly used video format. 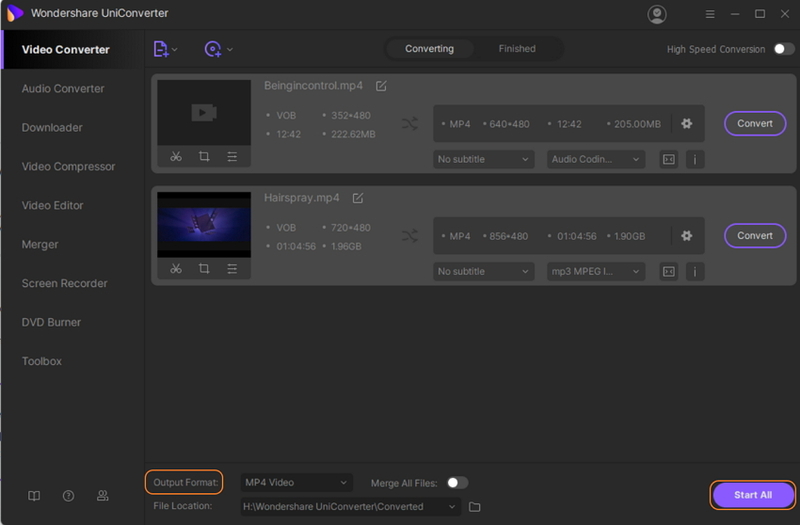 Using an expert program like Wondershare UniConverter (originally Wondershare Video Converter Ultimate) to convert VOB to MP4 not only makes the task easy but also results in lossless quality videos. Additional features supported by the software include video download, built-in video editor, recording, burning DVD, and others. Supporting over 1000 file formats, the software also works as MP4 to VOB converter. Follow the steps below to know how to convert VOB to MP4. Step 1: Download, install, and open Wondershare VOB to MP4 converter. The VOB to MP4 converter free download file is available at the above download link. Follow the simple installation process after the file is downloaded. Open the software on your PC/Mac. Step 2: Load VOB files. 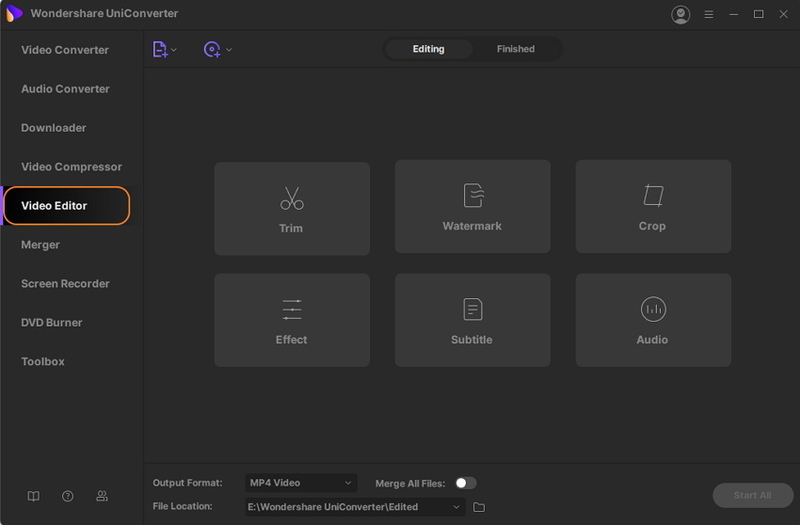 To convert VOB to MP4 Mac/PC, you need to first add the files to the program. From the Converting tab, click +Add Files to browse and import files from PC. If you want to add VOB files directly from DVD, open drop down menu at Load DVD and select inserted DVD. Step 3: Edit VOB files (Optional). If you want to edit your added videos, then select the desired edit icon of Trim, Crop, and Apply Effect from the bottom of the added video thumbnail. This is an optional step and can be omitted if no editing is required. To select the output format, open drop down menu at Convert all files to: option from the top-right corner of the software interface. Select MP4 format and desired resolution from the Video tab. To change the video and audio parameters with respect to frame rate, resolution, bitrate, and others, click +Create Custom. From the new pop-up window choose the desired parameters and click Create. Step 5: Convert VOB files to MP4. Have video converter VOB to MP4 move ahead, click Convert All. The conversion process will start and the converted files will be saved at the folder mentioned at the Output tab. You can also edit the file location if needed before conversion. 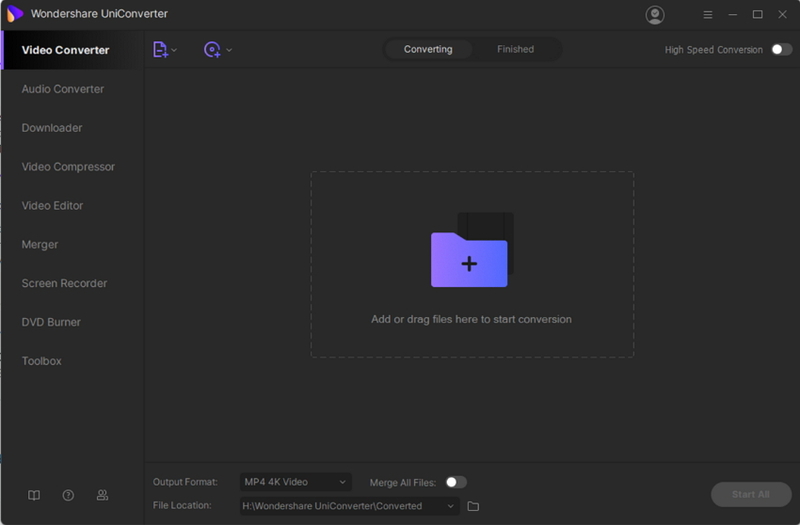 With 30X super fast conversion speed, easy to understand interface, and excellent quality output file, Wondershare UniConverter (originally Wondershare Video Converter Ultimate) is definitely the best VOB to MP4 converter. Also working as MP4 to VOB video converter, it works both the ways and supports many other formats for conversion.